Tonight, we celebrate Thanksgiving with the stars of IMPACT Wrestling! 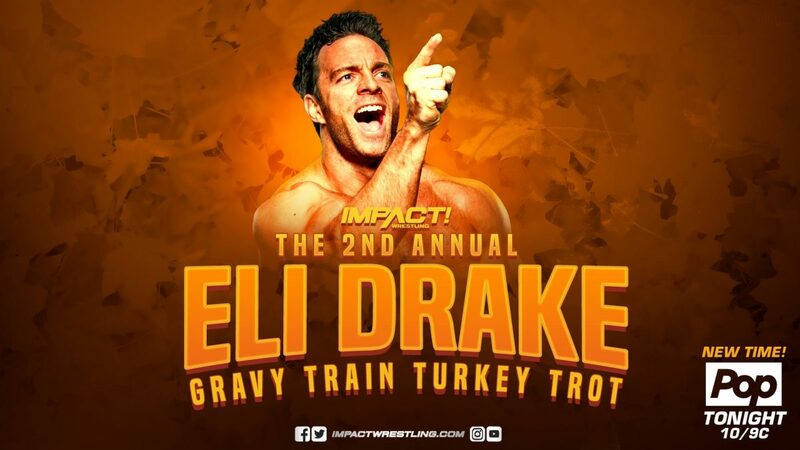 Eli Drake and Fallah Bahh will captain two teams for the 2nd annual Eli Drake Gravy Train Turkey Trot! McKenzie Mitchell interviews them as they pick team members from a tumbler. As a special bonus, Scarlett Bordeaux and the Sexxy Dancers put on a special Thanksgiving performance in Las Vegas. The competitors for the 2nd annual Eli Drake Gravy Train Turkey Trot are in the ring! Whoever takes the pin in this matchup will have to wear the turkey suit! Gama Singh gets in the ring and Rohit attacks Fallah off the distraction. 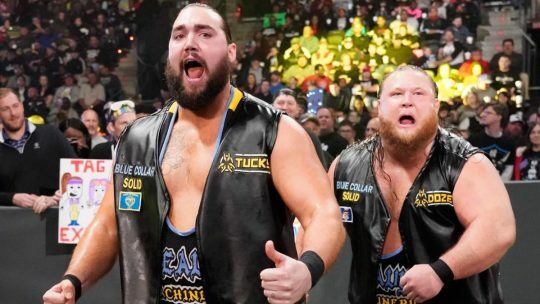 Fallah hits a double crossbody on Gilbertti and Drake. Fallah takes out everyone with a huge centipede Boston crab! Scarlett Bordeaux comes out to ringside to continue her talent search. 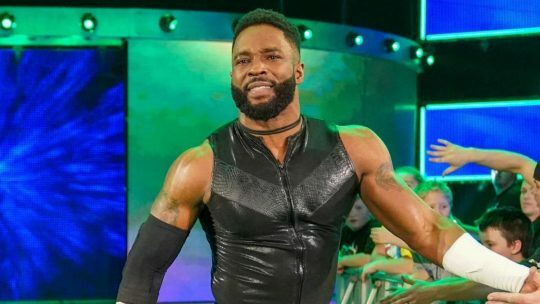 Xavier connects with the X19 to Jake! He is looking to fly to the outside when Gama hooks his leg! Gama swings at Xavier but he ducks, causing him to hit Raj instead! This time, Xavier flies successfully as he hits a handspring dive to take out everyone! Fallah Bahh launches himself off the apron into a pool of competitors on the outside! Alisha plants Katarina to the mat with some unique offense! 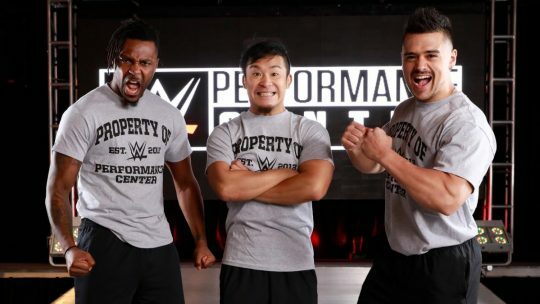 Team Fallah and even the referee take turns steamrolling over Gilbertti. Fallah squashes Gilbertti to score the pin and win! Since Gilbertti was defeated in the 2nd Annual Eli Drake Gravy Train Turkey Trot, he must now wear the turkey suit! Gilbertti refuses and is trying to leave when Team Fallah stops him. Scarlett Bordeaux tells Gilbertti she wants him to put the suit on for her and he immediately accepts! Gilberti puts the turkey suit on but Scarlett was leading him on and says he looks like an idiot! Next week, the action heats up as we continue down the road to IMPACT Wrestling’s next pay-per-view event, Homecoming!